On Sunday 24thMarch at 10.30am, the imbalance or ‘cash out’ price of electricity went negative for six and a half hours (i.e. 13 consecutive Settlement Periods of 30 mins each), reaching a maximum negative price of £70/MWh at around 2pm. If the cash-out price is negative, it means more electricity is being produced than is consumed (so energy users are paid to use more while producers are paid to produce less). 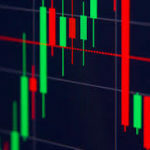 This matters because a larger price spread, and negative prices especially, create opportunity for price speculators (arbitrage) in the energy market. This is the first time that the cash out price has gone negative for so long, driven down by high wind output (and by low demand – it being a Sunday). The previous record was June 7th 2017, when the price went negative for six hours, down to £24/MWh. Electricity prices are becoming ever more volatile. 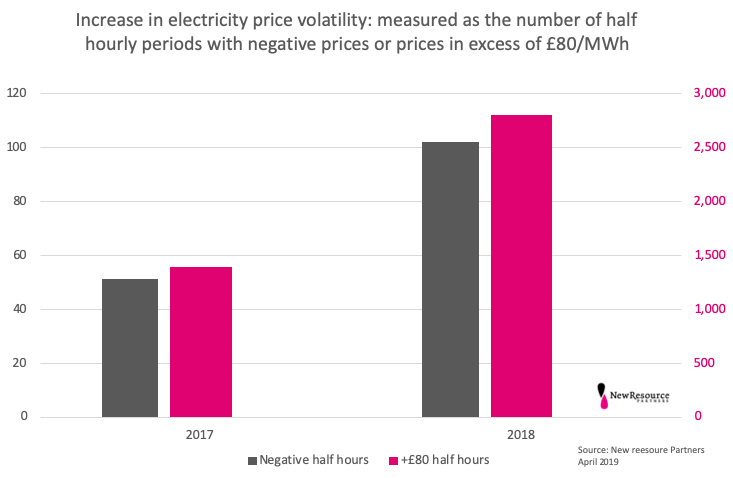 Our analysis shows that the number of half hour periods with negative prices doubled in 2018 from the previous year, while periods with high cash out prices – defined as £80/MWh or more – also doubled (see figure). In 2019 so far we have seen 20 negative-price half hours and 406 half hours of £80/MWh plus; and we expect the total number to exceed 2018 by a significant margin.